Picture it: a man in love with the most wonderful woman he’d ever met. He considers himself especially blessed because he’s only a poor, simple carpenter, and she’s to be his wife! She went away abruptly a few months ago to visit her cousin, but you expect her return any day. Then she arrives. With news. She’s pregnant. And you know you’re not the father. You’re heartbroken. And you hold the fate of her and her baby in your hands, because in your religion and culture, fornication is a sin punishable by death. Stoning. You’re mind reels. This just does not fit with the woman standing before you. This is too much. So, you decide to break it off with her quietly. At least that way she will not be stoned to death and you can both go your separate ways. Then God speaks to you in a dream. Take her as your wife. Raise the son she carries. You wake with peace and resolve and immediately obey what God has asked of you. To the rest of the world, it sounds crazy. But faith is a special kind of crazy. Joseph, too, was a man of great faith. When God spoke, he did not look back. He did not lament the life he had envisioned and expected with his bride, a life that would now never be. He humbly and immediately obeyed God through the grace of faith. And because of his trust in God and his obedience to His promptings, he was now the husband of the Mother of God, the foster father to the divine Son, guardian of the Holy Family. “There is a general rule concerning all special graces granted to any human being. Whenever the divine favor chooses someone to receive a special grace, or to accept a lofty vocation, God adorns the person chosen with all the gifts of the Spirit needed to fulfill the task at hand.” So begins a sermon of St. Bernadine of Siena. Faith, as with all graces from God, is a gift. But how often do we spurn this and the many other graces God offers to us? God seeks us, calls us, arms outstretched with overflowing graces, asking us to take up the vocation, the task, He’s set out just for us…yet we hesitate and ask for sign after sign, thinking we surely didn’t hear God clearly. We leave Him hanging there with His treasures. Are we crazy? God’s ways are higher than our ways, His thoughts higher than our thoughts. To follow Christ means we are embracing the cross, a stumbling block and foolishness to the rest of the world. So the question is, are we trying to think with the world or think with Christ? Are we willing to embrace our own cross, letting God determine the size and the weight of it, and trust that He will abundantly provide the graces we need to carry it until the end? Where are we making our home and storing our treasure? 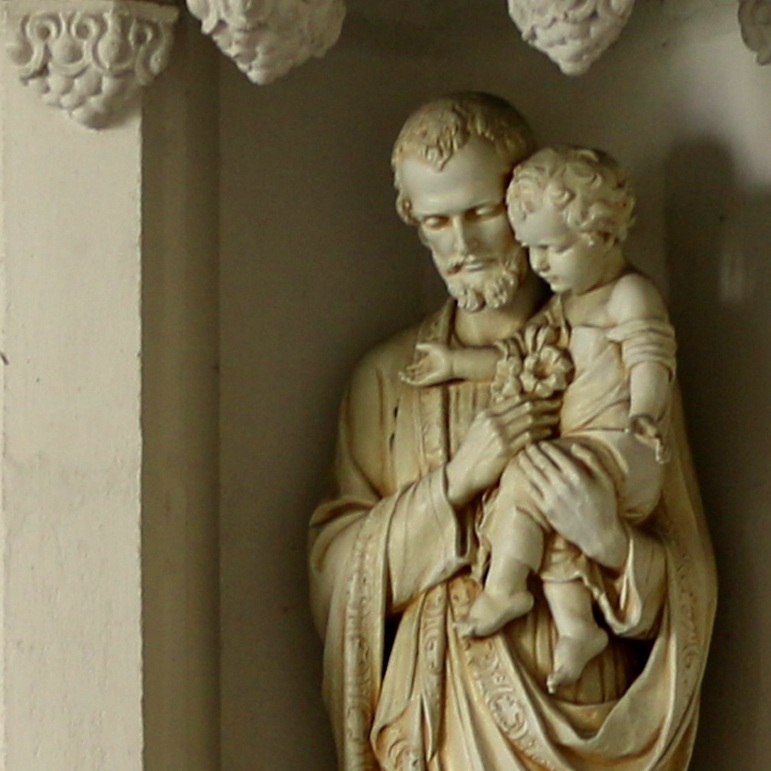 St. Joseph, humble man of faith and guardian of the Holy Family and Church, pray for us.